Discover a wonderful flavour of the Scottish Highlands with a great tour of beautiful scenery and ancient history that includes Loch Ness, Urquhart Castle, Culloden Battlefield, Clava Cairns, Beauly Priory and Cawdor Castle. Our tour begins at Inverness where we journey along the banks of Loch Ness to explore the medieval ruins of Urquhart Castle, once one of Scotland's largest castles. Here you discover its ancient past from the Wars of Independence and English invaders to raiding Highland clans (the Macdonald Lords of the Isles) and its eventual demise after the first Jacobite uprising. Our return to Inverness includes a detour to Beauly Priory a ruined thirteenth century medieval monastery and ancient burial grounds of Clan Fraser and Mackenzie chiefs. 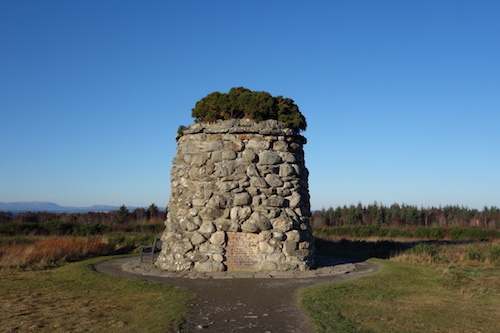 Arriving at Culloden Battlefield you explore the dramatic history of the Highland clans, Charles Edward Stuart (Bonnie Prince Charlie) and the Jacobite uprisings. The excellent interactive visitors centre sets the scene of this decisive battle and the Jacobite story before you embark on a poignant walk through Culloden field to the clan grave markers (including such famous clans as the Frasers, Macdonalds, Mackintoshes and Camerons). Only a short distance from Culloden are the Bronze Age Clava Cairns and Standing Stones. Dating back over 4000 years they are a fascinating glimpse of the very ancient past of the Scottish Highlands. Leaving Clava Cairns we take a short drive to Cawdor Castle. This beautifully kept medieval castle, built around a 15th century tower house keep, is rich in Highland history and is the ancestral home of the Clan Campbell of Cawdor. It also has wonderful gardens to explore after visiting the castle. Following Cawdor Castle we return back to Inverness enjoying the beautiful views of the Moray Firth estuary with the distant backdrop of stunning Highland mountains. Cawdor Castle is only open from 13th April to 6th October 2019 and is closed outwith those dates.